My party of eight was promptly seated at the back, and tempers arising from Sweet Sue’s closure were quickly dissipated by their appealing menu. The staff was very sweet and friendly (incidentally, I recognized two of them from Sweet Sue’s – What happened there?! ), and even accommodated our request for a birthday muffin with a candle for one of our friends. 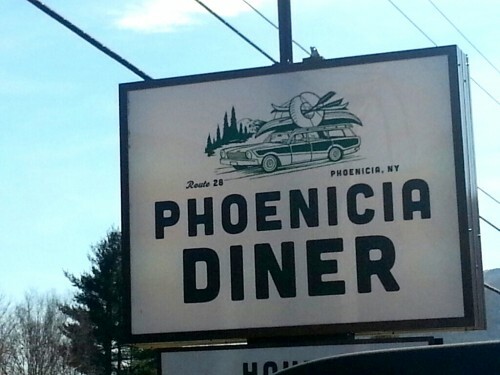 The menu said that owner Mike Cioffi took over the diner last year from the previous owner who operated it for thirty years. Thank god for Mike! 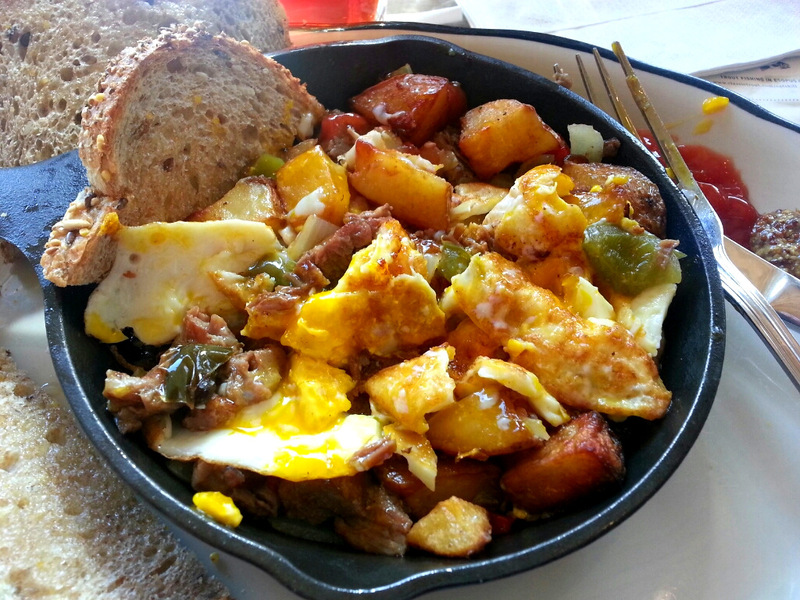 My chopped up corned beef hash. 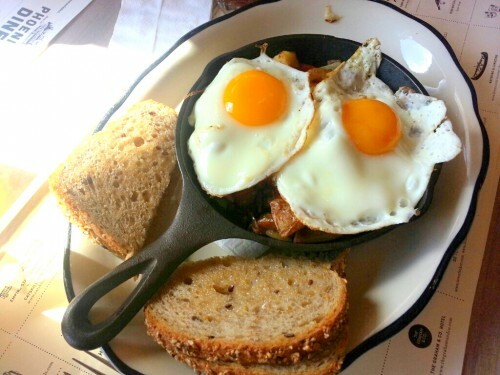 My order of corned beef hash reminded me of a skillet order I had at Woodland, which was welcome because the whole place reeked of Brooklyn brunch goodness. I was pleased to see that my corned beef hash and my wife’s reuben were both not nitrite-pink, but were still both tasty and made with love, just the way we liked it. Kudos to the chef for not overdoing the salt on any of the menu items. Much appreciated! 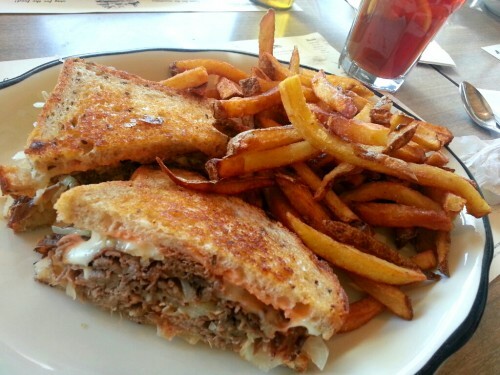 House-cured reuben sandwich. Awesome fries. 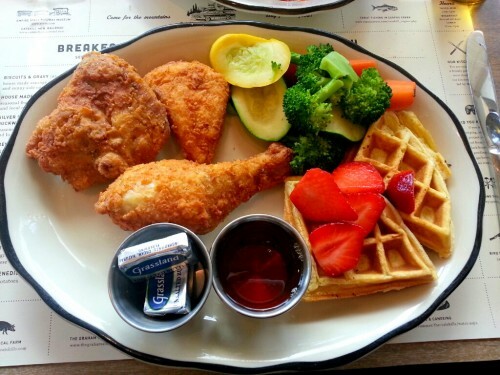 The chicken and waffles passed the discriminating standards of our group’s fried chicken connoisseur, although they did comment that the presence of vegetables were a bit off-putting in the sweet vs. savory department (although it looked pretty). 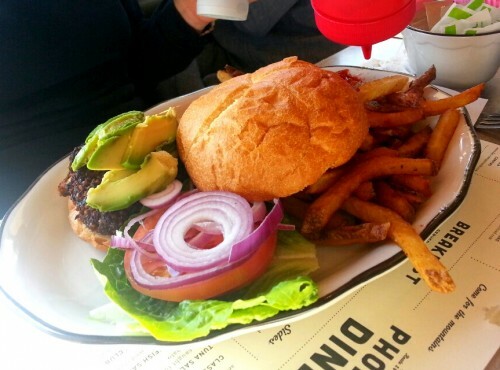 Even the veggie burger got an A from our carnivores. 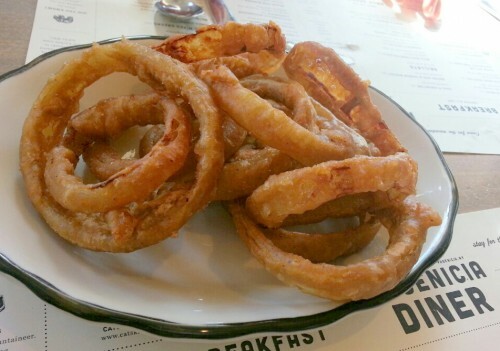 We ordered some of their beer-battered onion rings and they were indeed freshly made the way our servers said they were. Perfectly crisp and didn’t turn into a disgusting soggy mess after two minutes. Thanks for not killing it with salt. 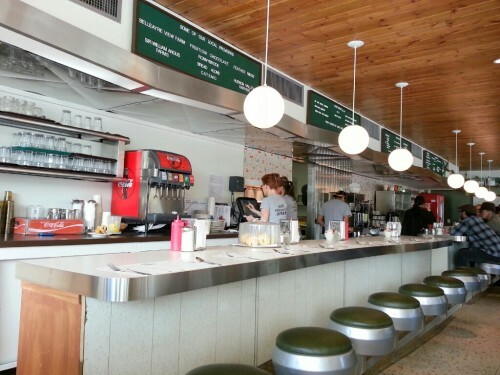 Clean, open diner layout and barstools. 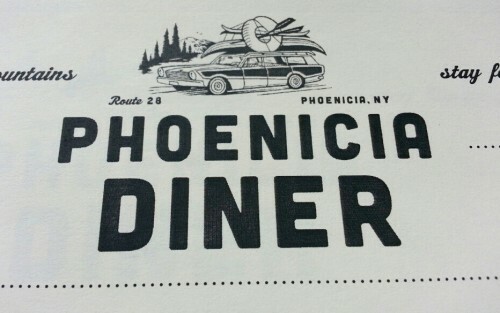 Phoenicia Diner is open from Thursdays to Mondays only, hinting that they are primarily there for weekenders, which is fine because their fare is exactly the kind of brunch New Yorkers crave in that area. The simple, focused menu and the emphasis on sustainable food practices, coupled with a great eye and taste for good food will ensure this joint’s success. Congratulations! 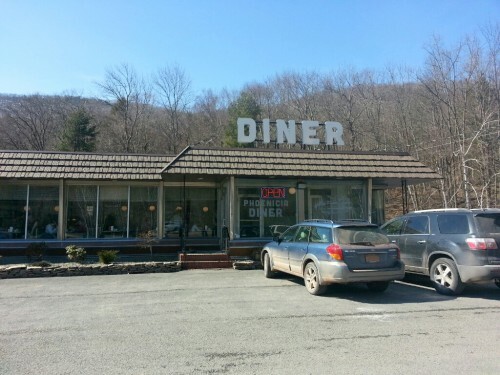 The diner’s nondescript exterior – do not be fooled! Stop for the sign on the road!